This is an optional KDE Direct SAB Goblin 630/700/770 Battery Tray V2 Assembly. The Battery Tray System Assembly V2 provides the best support for your LiPos during flight, with an ultra-light and high-strength frame design that provides exceptional support and holding-strength for the batteries. 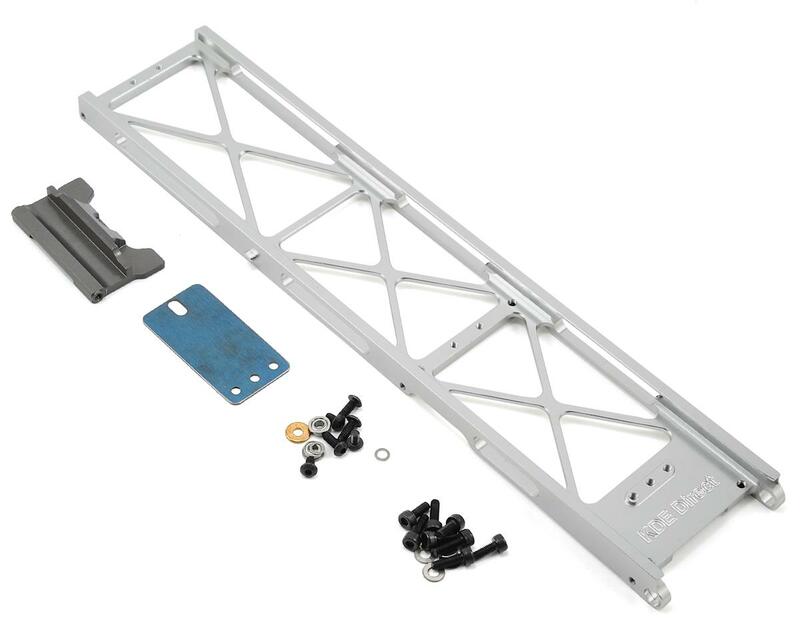 The Assembly uses an innovative and Patent Pending locking mechanism for fast and hassle-free installation. The Battery Tray Upgrade V2 is the identical tray to the AT700E-BTU-V2 design, that is a perfect match to the stock rails of the TREX 700/800 (V1/V2/DFC) design for easy sharing between helicopters - without needing to remove the LiPos from the trays between charges and flights. No modifications are needed to the frames for easy, drop-in fit installation. The "V2" edition provides additional M3 threaded holes for simple and secure mounting of the Kontronik KOSMIK ESC series. 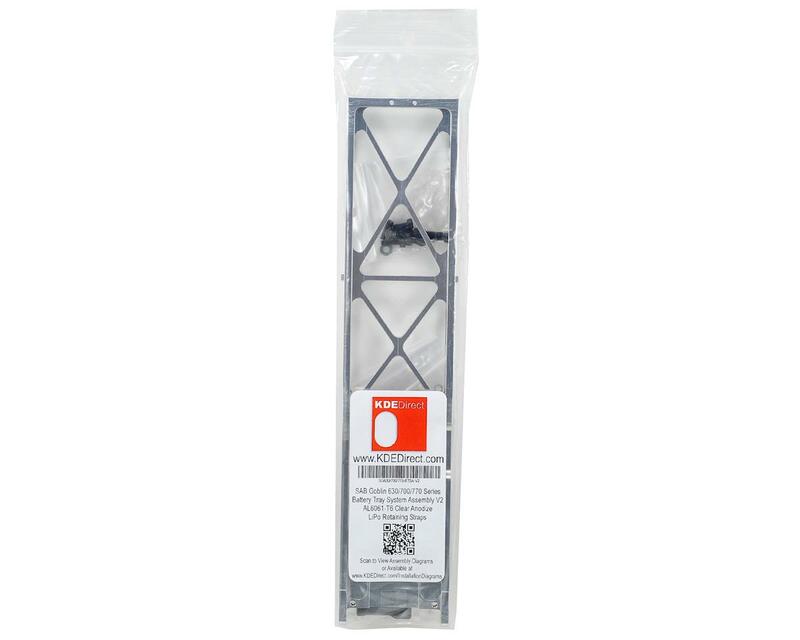 Provides ideal protection for the ESC and all hardware is included for a simple drop-in installation. In addition, make sure the Push Lock Lever is properly engaged and flush with the Battery Tray Upgrade V2 before flight. Due to the strength of the hold required, significant force by hand on the Push Lock Lever is required to release the tray for removal. NOTE: Due to the differences in geometry of the KDE Direct Battery Tray Upgrade V2s, the stock ALIGN Battery Trays are NOT compatible with this system (Parts AGNH70052, AGNH70084, and AGNH70085).